The Kaito KA500 Voyager has all the features that you need in an emergency situation. 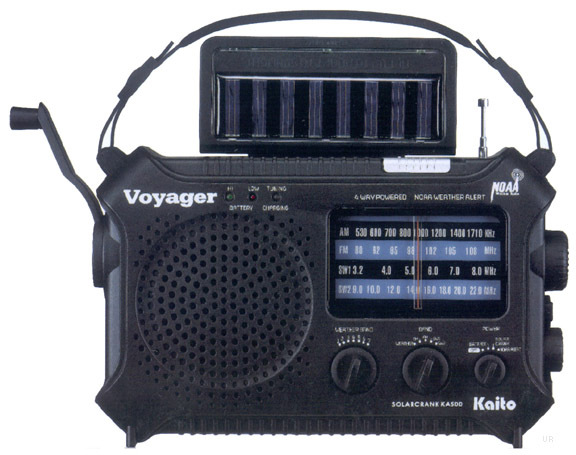 There are six ways to power the KA500: dynamo cranking, solar panel power, three AA cells, built-in Ni-MH battery pack, optional AC adaptor or from a computer via the USB port. 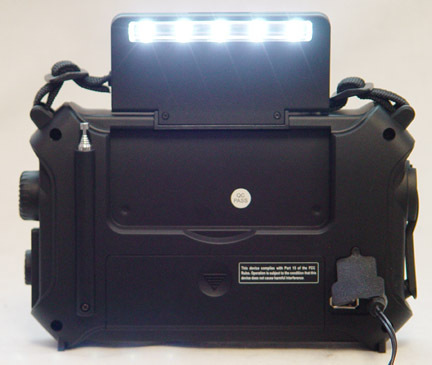 It has a 5 LED reading lamp on the rear panel, and a LED flashlight on the side. 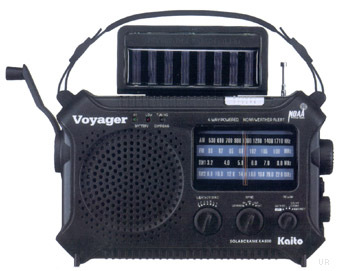 The radio is designed to charge some other electronic items. It has a bi-directional USB jack that can connect with many standard USB enabled items like iPods, cell phones, etc. and the jack is protected by a rubber cover. 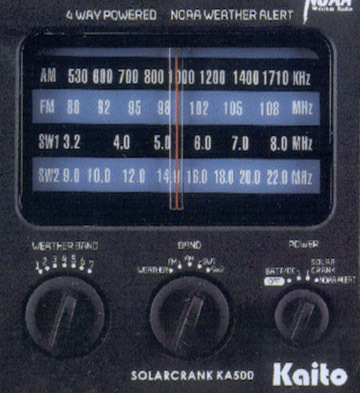 This radio tunes AM, FM and shortwave in two bands: 3.2-8 and 9-22 MHz. The weather band tunes 162.400/162.425/162.450/162.475/162.50/162.525/162.55 MHz continuous. The weather band has an alert feature. With a water resistant black case. 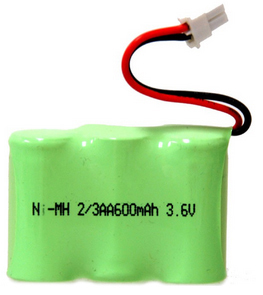 With earbuds and NiMH battery. Copyright 2013-2016 Universal Radio, Inc.